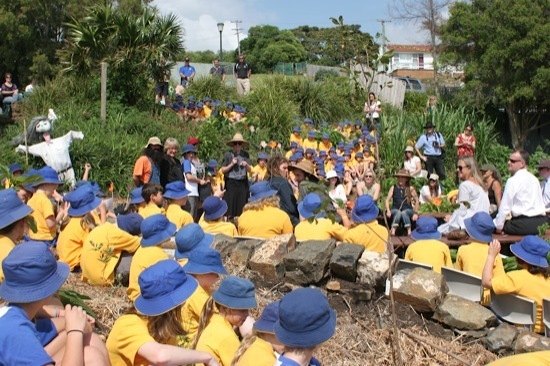 I had the day off work on Friday, and happily it coincided with the official opening of the Kiama Primary School Garden. Remember I was awarded a Permaculture Design Certificate scholarship by my local council? One of the other recipients was Maria, a teacher from Kiama Primary School, and she’s been heavily involved in getting this garden up and running. I’m helping to get a similar garden (although perhaps not quite on the same scale!) going at Jamberoo Primary School as the community project aspect of my PDC scholarship, so it was a great opportunity to gather ideas. And of course, I couldn’t resist getting a photo with Costa! This garden was designed by Aaron Sorensen, and built and maintained under the guidance of him and Dan Deighton (along with Maria, of course!). These two guys have done an awful lot of amazing work at schools around the Illawarra. 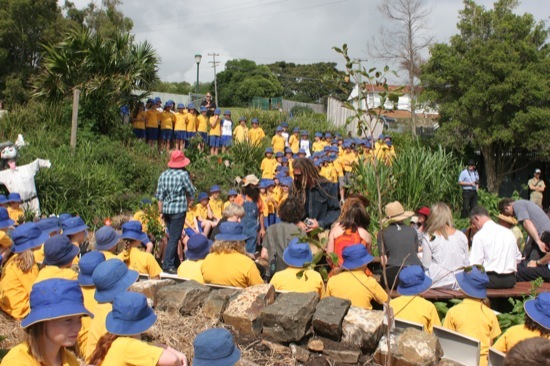 You can read more about Aaron and Dan’s work with schools over at the Milkwood Permaculture site – Kiama Primary School Garden (showing what the site looked like back in April, when it was just getting started) and Cringila Primary School Garden. The Cringila site was also covered on ABC Open (with video!). I’ll write a follow-up post in the next couple of days to give you a tour of the garden. 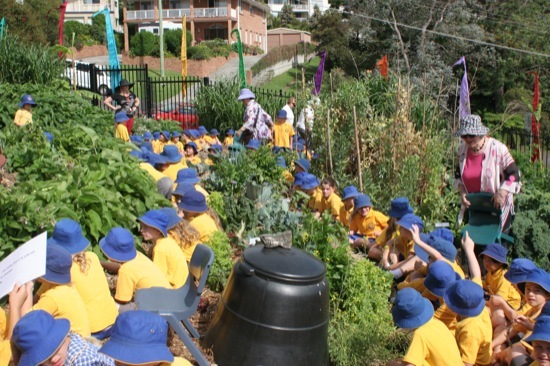 Update: Here’s the promised follow-up: Kiama Primary School Permaculture Garden Tour. @Kirsten: It’s a great garden, and a fantastic resource for the school. Hope you enjoy the follow-up article as well. Hi Darren. I just came across your website. Well done!! (On the sustainability journey and on finding the time to blog about it so well!) 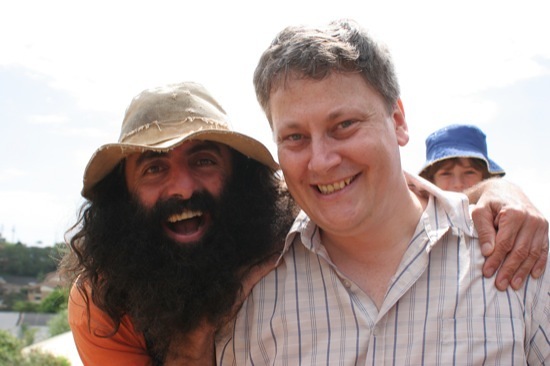 I look forward to seeing more pics of the Kiama garden and (in time) your Jamberoo project. 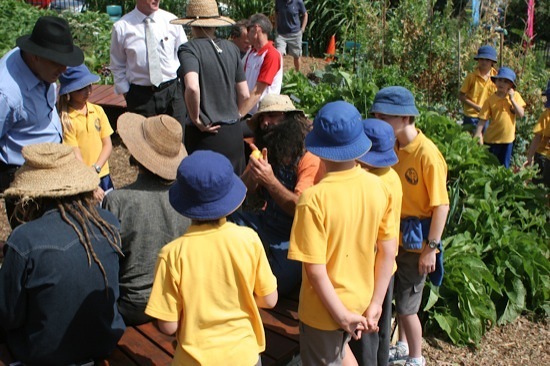 My kids’ school (in Canberra) is involved in a new community garden project – it’s still at the ‘ideas gathering’ stage, so I’d gladly pinch some ideas from you!! Cheers, Amanda. @Amanda: Wow! It’s been a long time! Hope you also enjoy the follow-up tour, and get some ideas from it for your school garden.